Mid Week Inspiration post for this month. 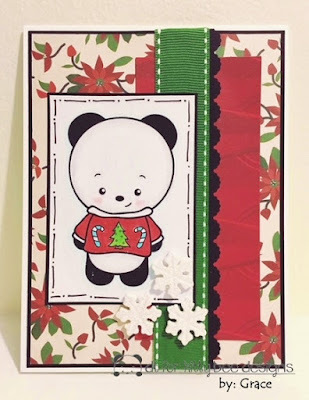 And I chose UGLY SWEATER PANDA for my inspiration card! I hope you guys have a super week and thanks for stopping by! and please join our monthly CHALLENGE!